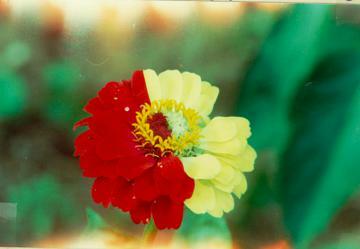 One of the characteristics of plants is that they respond to radioactivity more quickly than animals and humans. Plants are similar to the canary in the coal mine. Plants react more sensitively to air pollutants because they use the carbon in the air for their nutrition. The amount of carbon in the air is .035%, so the plant must take in a lot of air to fill their nutrient needs. By comparison, the oxygen which humans and animals utilize makes up approximately 21% of the atmosphere. We do not require as much aeration and thus take in less of the ambient toxic pollutants. The following excerpt from The Petkau Effect explains this phenomena. "We now have proof of the risk of interrupting the very basis of the life cycle of plants, animals and man - in brief, photosynthesis on Earth is endangered! "There is a fundamental difference between plants and animals, and this determines why plants are so much more sensitive to air pollution. 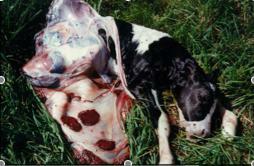 We animals need air for its oxygen, to burn our food so as to obtain energy. The plant, however, gets almost all of its nutrition in the form of carbon, which is contained in the air in the form of carbonic acid (C02) and is made available to the plant through the process of photosynthesis. The plant must take in MUCH more air than animals to get enough carbon, because air only contains .035 percent carbonic acid. Air contains 21% oxygen. 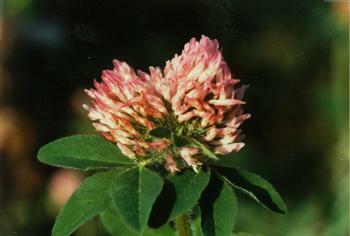 "The prodigious aeration of the plants explains their tremendous sensitivity to air pollution. The toxic effects of airborn pollutants show up earlier in plants than in the human. "Carbon 14 is produced by cosmic rays, bomb tests and nuclear power plants. By 1963, Carbon 14 in the Northern Hemisphere had increased by 100 percent, and by 1984, about one decade later, it had increased another 25 percent. An increase in radioactivity of only one percent eventually translates into a decline in tree growth of about 18 percent. It is interesting to note that a global increase of Carbon 14 - one such as has never before been seen - parallels the slowing growth and the endemic death of trees from Lebanon to the Himalayas. 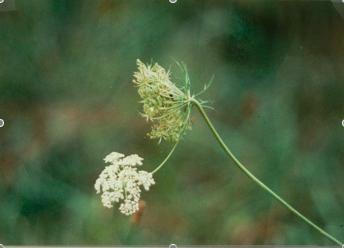 The following is a series of photos of deformed plants, flowers and animals taken in the area, with comments by the photographer Mary Stamos. 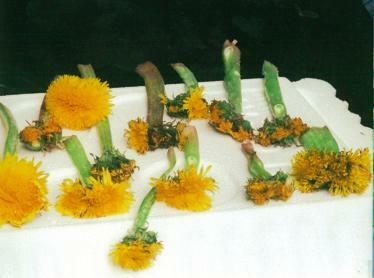 Dandelions showing a few small normal flowers and also the abnormal multiple flowered wide and hollow stems. The pinkish color may indicate radiation exposure. Found in my neighborhood in the spring of 2010. I was actually stunned to find so many at one location. 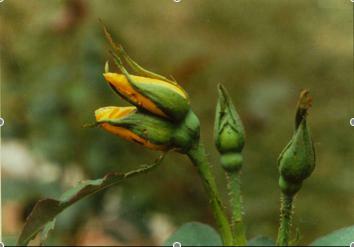 Three clumps of dandelions found in 1984, each about 3 feet long. From my yard. I had no bumble bees for almost 10 years. 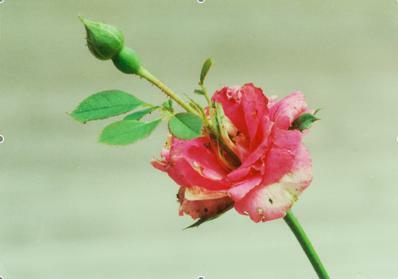 This rose was found near Middletown, Pa. 1987. It has no reproductive parts. I saw all these effects on local plants but thought at first it was caused by a virus or f ungus. 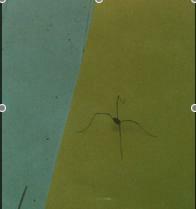 Further research led me to understand it was the radiation release from the Three Mile Island accident. Maple trees on both sides of the Susquehanna River had deformed or mis-colored leaves. The zucchini squash grew double. I had no bumble trees for almost 10 years. 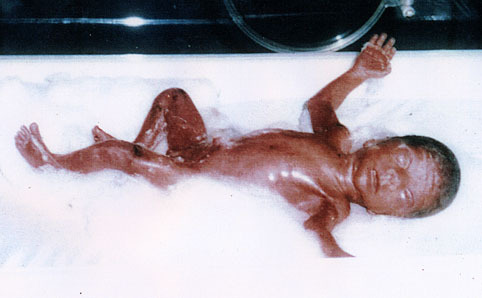 Deformities also manifest in infants. 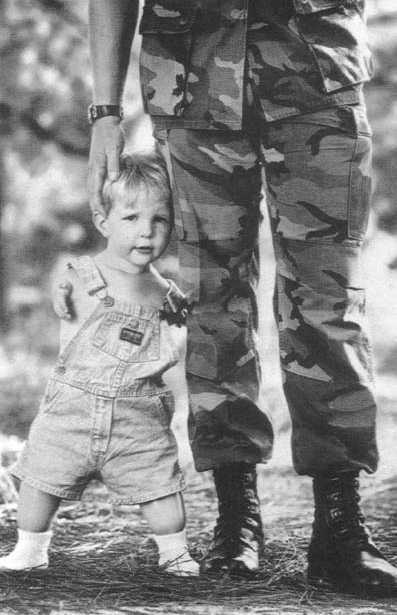 Depleted uranium is used to harden and give extra power to missiles and bullets. 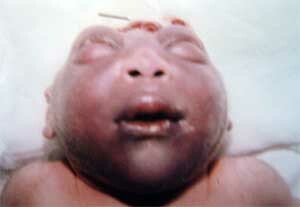 The dust has caused birth defects in Iraqi babies and in babies born to American soldiers. DU causes genetic damage for generations. See chapter 6 for discussion of depleted uranium and its far reaching damage. 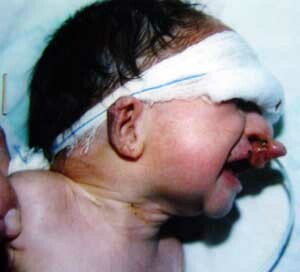 Following are photos of deformities related to exposure to depleted uranium. An Important video, long but good, of Doug Rokke, a US Army Contractor who headed a clean up of DU in Iraq and developed serious health problems and Leuren Moret a geoscientist, whistle blower at Lawrence Livermore Laboratory and others. The Chernobyl Legacy slideshow of sick and deformed children from the area of the Chernobyl disaster. Commentary by the photographer Paul Fusco. A must see wake up call! 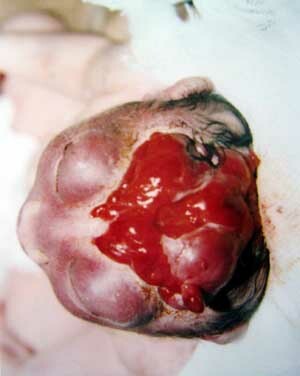 Photos of babies deformed at birth as a result of exposure to depleted uranium. 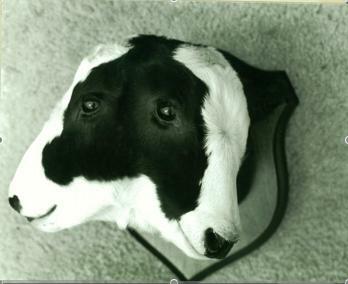 The deformities are severe and horrible to look at. Yet they have become a fact of life wherever DU is used. 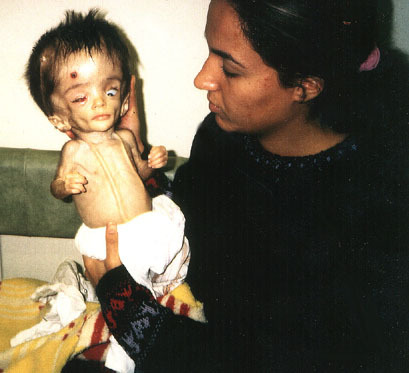 Photos showing typical damage to babies exposed to depleted uranium.